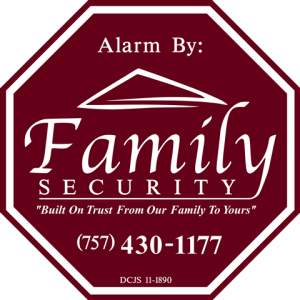 “Built on Trust from Our Family to Yours” Family Security is a full service Alarm Company serving Virginia since 1994. We are focused on providing high quality products, installations and customer service. We provide Nationwide Monitoring for our customers with 24 hour emergency service. Our customers range from Residential to Commercial as well as Law Enforcement and Corrections. Our products range from the basic alarm system to total home automation. Keeping up with today’s demanding digital age in Electronic Security is what we do. Take total control of your home or business with our C24 Interactive. Adding Interactive lifestyle devices to your home gives you peace of mind. Look into your home with our IP cameras to see when your children are home from school, or check in on your elderly parent. Lower your thermostat, turn off lights, and lock your doors remotely from your smart phones or computer. We also have a full line of security products ranging from medical alert pendants for the elderly to full camera systems with 24 hour digital recording. Contact us for a free security analysis of your home or business, or a demo of our interactive devices. Call the ones you can trust to do business with today, make the right choice for your family and join ours in keeping the ones you love safe and secure.